The length and eave height can be customized. · Frame stress: hard pressed extruded aluminum alloy which can last more than 10 years. 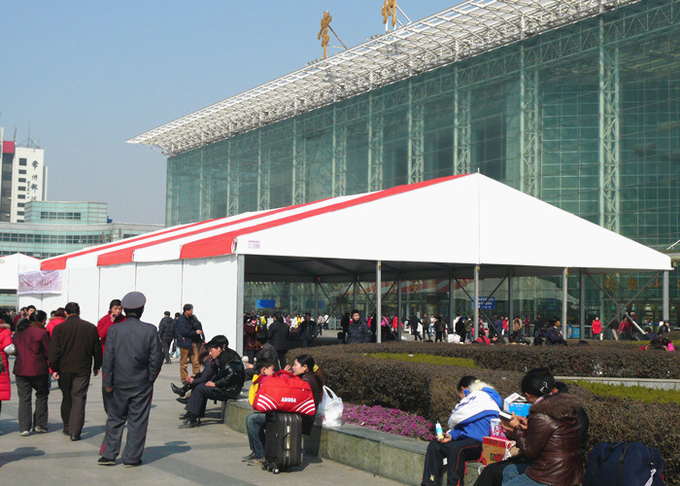 The red and white aluminum tent is often used for exhibition and outdoor event, the design is new and popular for customers. 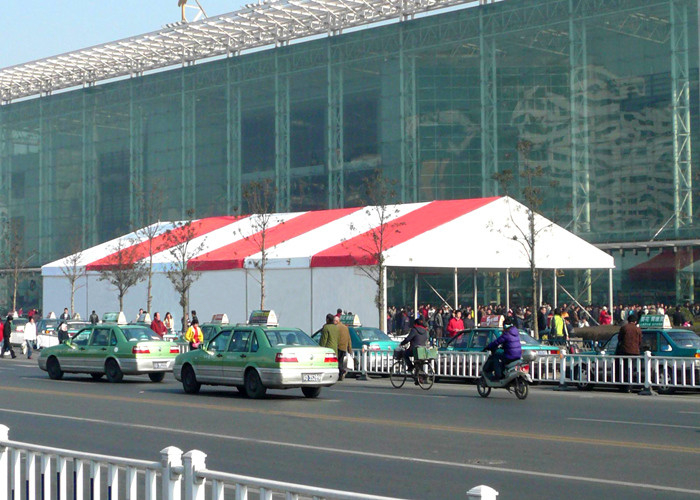 Compared to the traditional exhibition halls, the marquee tent is more flexible and environmental friendly. The size is more suitable for the site and arrangement as size can be customized as your requirement. The tent is modular, bay distance is 5m, can be added or reduced by the times of 5m, like 18x20m, 18x30, 18x35m, etc. The ground is not limited. It can be constructed no matter on cerement ground or lawn. · Custom design the tent according to the clients' requirements ,for example, higher height and unique shape . · We will do trial installation when we finish the production ,Installation video or pictures can be taken and must be sent to the client to check the quality and make payment of balance before delivery.